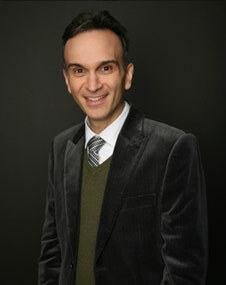 Gil Shaham will tackle Bach in concerts at Purchase College. VIOLINISTS are hardly an unknown quantity on the Westchester County concert stage. But over the next month, three leading practitioners of the instrument will turn the Purchase College Performing Arts Center into a veritable violin mecca, presenting the music of Brahms, Bach and the Bard of Avon in concerts of varying scale, style and temperament. Leading off, on Jan. 22, will be Guy Braunstein, concertmaster of the Berlin Philharmonic Orchestra, who will join the Hamburg Symphony Orchestra as a soloist on Brahms’s Violin Concerto. 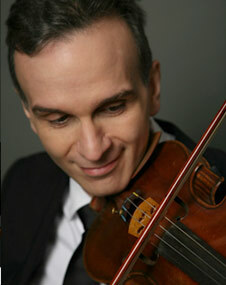 On Feb. 25, Gil Shaham will perform an unaccompanied turn on two partitas and a sonata by Bach. In between, on Feb. 12, the early-music pioneer David Douglass and his Newberry Consort will provide a break from the German masters with music from Shakespeare’s world. 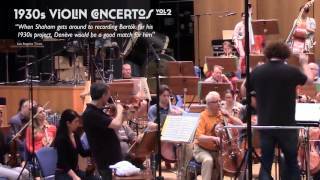 For Mr. Braunstein, who first played the Brahms concerto nearly 25 years ago, the Purchase concert, part of a two-week tour of the United States, will offer a chance to become reacquainted with the piece before he returns to Germany and plays it with the Berlin Philharmonic early next month. Those parts, said Jeffrey Tate, the conductor of the Hamburg Symphony, require the kind of “interior discipline” that Mr. Braunstein’s 12-year tenure with the Berlin has instilled in him. In Mr. Braunstein’s first performance of the Brahms with the Hamburg Symphony this month in Hamburg — a kind of prelude to the American tour — Mr. Tate said he brought a welcome “transparency” to the piece. In his evolving approach to the Brahms, Mr. Braunstein said, he has tried to adjust the pace of the thematic development to allow the woodwinds to reveal themselves with greater clarity. 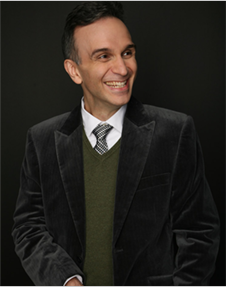 Mr. Shaham’s approach to tempo has also evolved. He traces this in part to periods of concentrated listening to the minuets in Bach’s French Suites, keyboard works normally taken at a lively clip. Concluding that other works “would swing better if they were played at the pulse” of the suites’ minuets, he said, he had picked up the pace of the minuet in the E major partita, and in the other dances, including the monumental chaconne — a 15-minute set of variations — that closes the D minor partita. And he has increased the tempo of the Sonata in C major, which will round out the Purchase bill. For his part, Mr. Douglass said he hadn’t touched a modern bow since 1975, sticking with one whose strings were more arched. His violin is modeled on those made by Gasparo da Salo, who was active about a century before Mr. Shaham’s Stradivarius and Mr. Braunstein’s Ruggieri were made — both in the late 17th century. Mr. Douglass and his ensemble — the lutist Paul O’Dette, the soprano Ellen Hargis and the tenor William Hite — have established an impressive reputation for reconstructing Renaissance and early Baroque music. Their show, “Shakespeare’s Songbook,” one of several continuing projects, has proved an important block on which that reputation has been built. The show comprises about 20 pieces that Shakespeare quoted from, alluded to or inspired. While much of the material’s origin is in dispute, Mr. Douglass said that pieces like “The Ballad of King Lear and His Three Daughters,” a recounting of Lear’s story set to a melody of the day, were clearly part of Shakespeare’s milieu. In it, Mr. Douglass plays chordal accompaniment for, and countermelodies against, Ms. Hargis’s lead. The music is largely communal in nature, Mr. Douglass said, but occasionally he takes center stage, notably in the show’s opener, “Kemp’s Jig,” an instrumental on which his energetic improvisations set a tone for both the show to come and the subject who animated the piece: the comedian Will Kemp, a member of Shakespeare’s troupe widely known for enlivening his portrayals with dance. Dance, in fact, helps define Mr. Douglass’s style of violin performance, which he said “begins at the hips” and involves a physicality that “modern violinists have a hard time relating to.” Such rhetoric has been central to the authentic-performance movement, of which Mr. Douglass has been a leader. 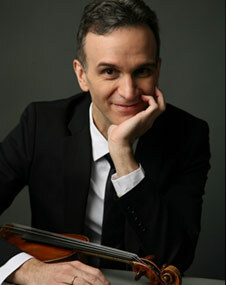 Hamburg Symphony Orchestra, with Guy Braunstein, soloist, plays Brahms’s Violin Concerto on Jan. 22 at 3 p.m.; Newberry Consort, with David Douglass, violin, plays “Shakespeare’s Songbook” on Feb. 12 at 3 p.m.; Gil Shaham, solo violin, plays two Bach partitas and a sonata on Feb. 25 at 8 p.m. All concerts will take place at the Performing Arts Center at Purchase College, 735 Anderson Hill Road. Information: (914) 251-6200 or artscenter.org.